Hello everyone! Sorry for my absence. It’s been excruciating because I’ve got about 15 things ready to blog but don’t have any pictures!! I’m going to attempt taking some myself this weekend while Jimi is away, but the last time that happened I forgot to smile heehee. So to solve this problem I found some pics of my jeans that show off my Sophia tee. 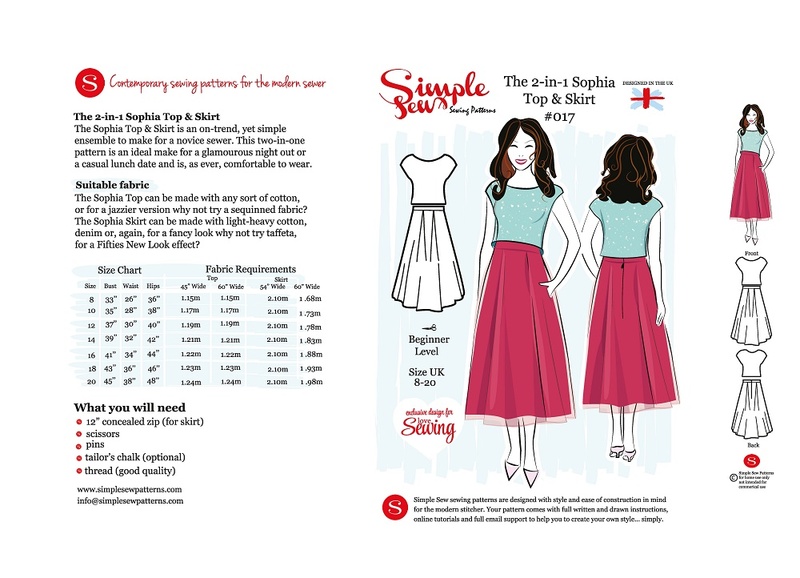 For those of you who haven’t seen Love Sewing issue 19, we included a paper pattern for a long pleated waist skirt and simple dartless top. Separates are pretty on trend and a nice alternative to a dress. Plus both pieces make excellent staples. I can’t wait to make a knee length version of the skirt and many more Sophia tees. 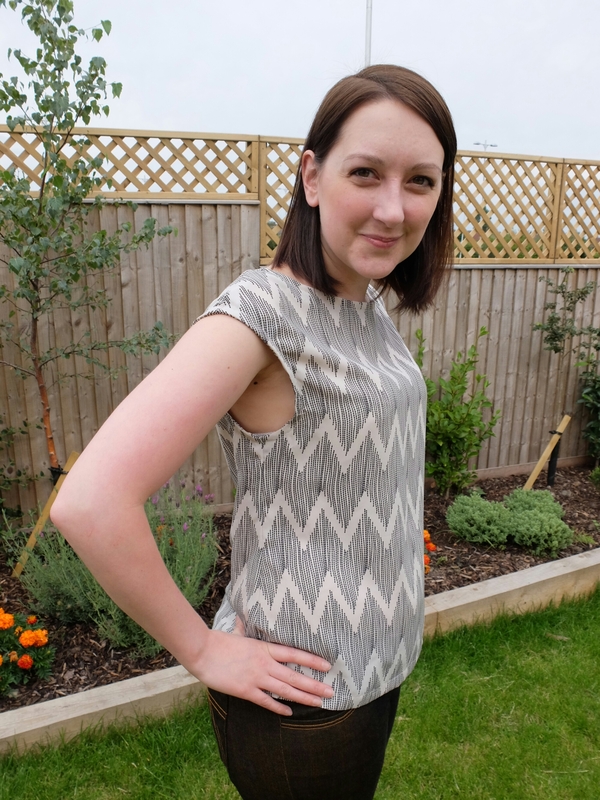 The mag explains how to hack the top into tee length. 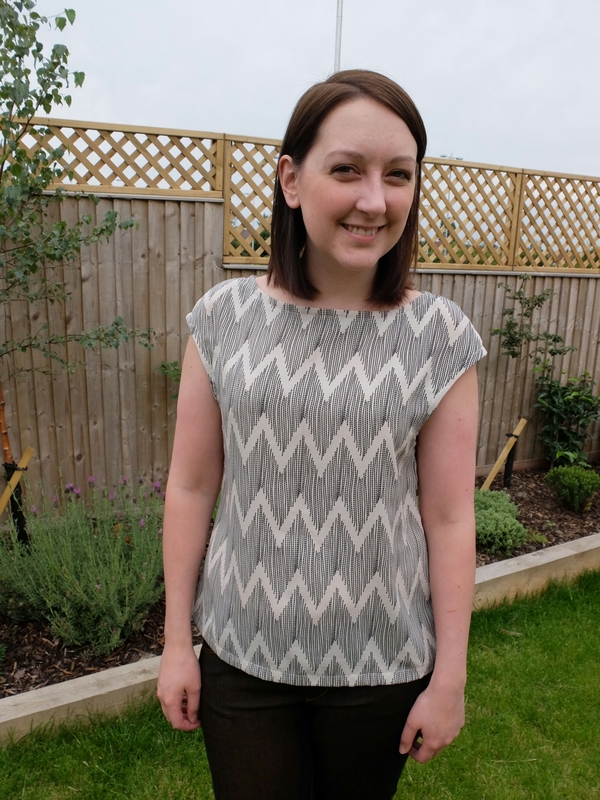 Essentially you just extend the front and back around 5 or 6 inches along the fold line and side seam and the draw the new hem at a right angle to the centre front and back. I used a zigzag polyester from the Abakhan remnant bin. God I love that place. I think it was £2. It’s surprisingly not that sheer, but I generally wear a little tank top underneath to avoid any hint of static. The length is probably 2 or 3cm too short for my liking but I wanted to try and make a top that sat above the bottom of my Jean pockets. It’s exactly that but turns out I do prefer the added length. So there you go! I’ll be making loooooads of these because they are insanely quick to make. And I want to swap out the facings for coordinating bias binding. If you want to pick up issue 19, head out to shops quick as it goes offsale on November 5th! Though it will still be available to buy online. Ooh so it’s probably time to say it. 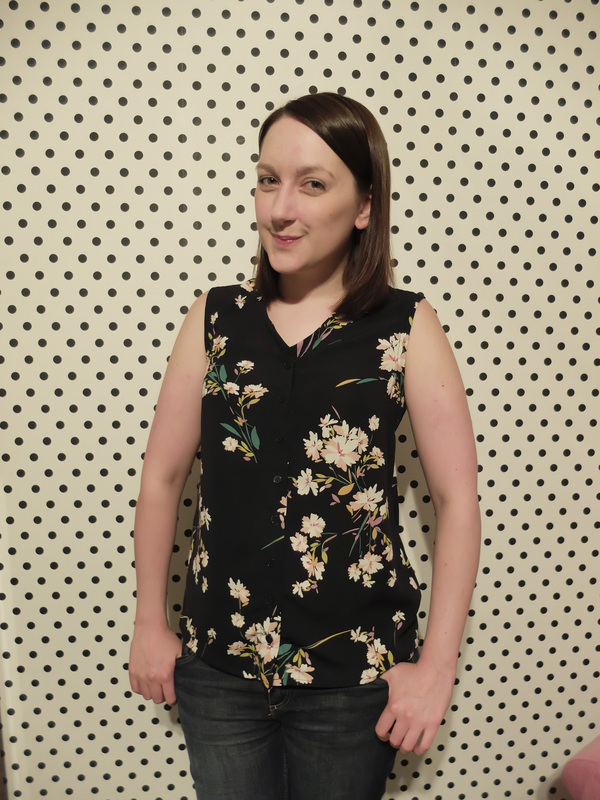 If you aren’t already aware, I’m the new Editor of Love Sewing magazine. EEK! It’s a UK-based magazine based in the North of the country, available from most major supermarkets and WHSmiths, plus it sells internationally via moremags.com and is even exported for sale in Australia. Basically this is the culmination of 10 years of professional effort and 5 years of sewing experience. I never really mentioned work on the blog before but I’m happy to change that for a good reason. I’ve been in the role three months now and it’s still amazing to be able to be able to talk about sewing on a daily basis. I’ve produced two issues in that time and I’m slowly putting my stamp on the magazine: It’s always strange taking over a title from another Editor as they’ve lined things up for either a few weeks or a few months and you need to work around what’s already in motion. I’ve had an amazing amount of support and well wishes from everyone which has warmed my heart – so thank you to everyone who gave my magazine a chance and those of you sitting out there, sending me your best. It means a lot. 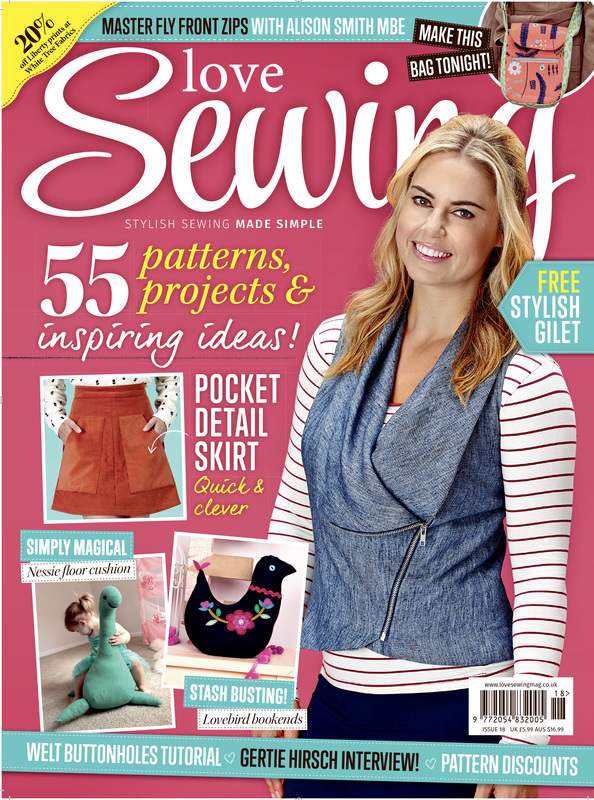 There are some people who have voiced concerned I haven’t been sewing long enough to manage a sewing magazine and if you fall into that category then I’m sorry you feel that way and I might not be able to convince you otherwise. 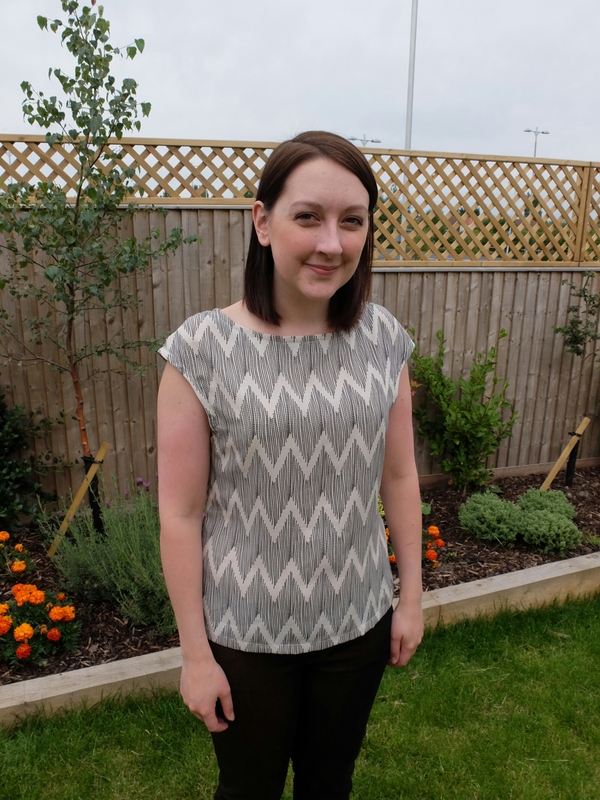 But sewing experience is only one side of running a successful magazine and I honestly believe it’s better to have an Editor in charge who is experienced with both publishing and sewing. And to offset what I don’t know in sewing, I’m very fortunate to work with experienced and talented industry experts! I’d definitely be terrified by someone who claimed to know everything. Either way, I hope you pick up a copy and like what you see, and it makes you want to pick up another! 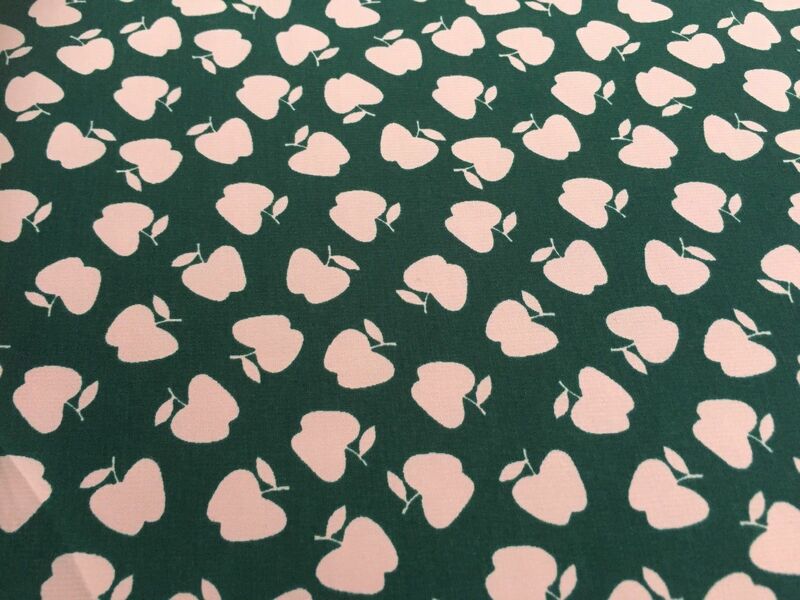 First up I made this apple print crepe de chine version using fabric from Regency Rags (who reeeeeally need to get their webshop back up and running so I don’t have to use the eBay shop anymore). It’s only a little polyester feeling and a pretty nice weight, plus it’s only £2.99 a metre. Then I thought I’d try the button up but without the bow tie! Crazy I know. 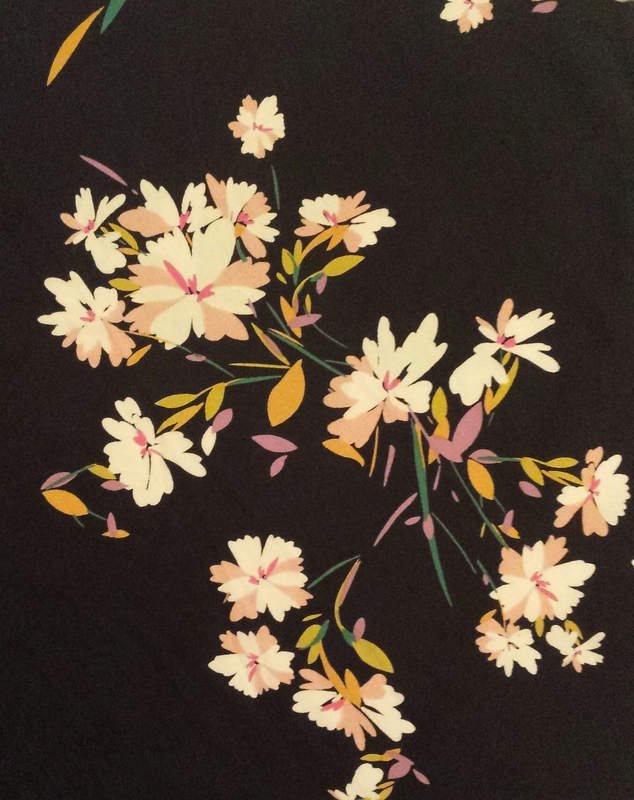 But look at this pretty floral crepe from Abakhan Fabrics in Manchester. I think you all know about their crazy bins of fabric remnants where you pay by weight not length. This was £2.50 for a 1.2m piece. The flowers are so stunning and it’s actually navy blue not, black like it looks in the pics. Side note. 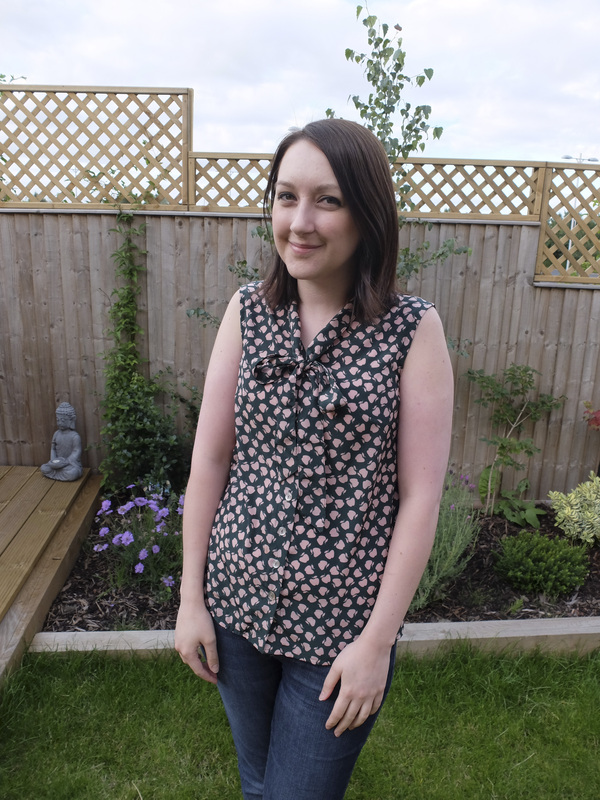 This photo was taken the day before I got poorly with a sinus infection! I felt like I looked weird somehow but couldn’t put my finger on it. Maybe that’s an early germ detection system? It was a worthwhile experiment, though I think the button up either needs to be higher or lower for this version. I’ll wear it a lot though because of the print and it looks great with a cardigan which makes me wish I’d had enough fabric to add sleeves. So there you go, short and sweet. What do you think of my tops? Did you see the hack in the latest issue? 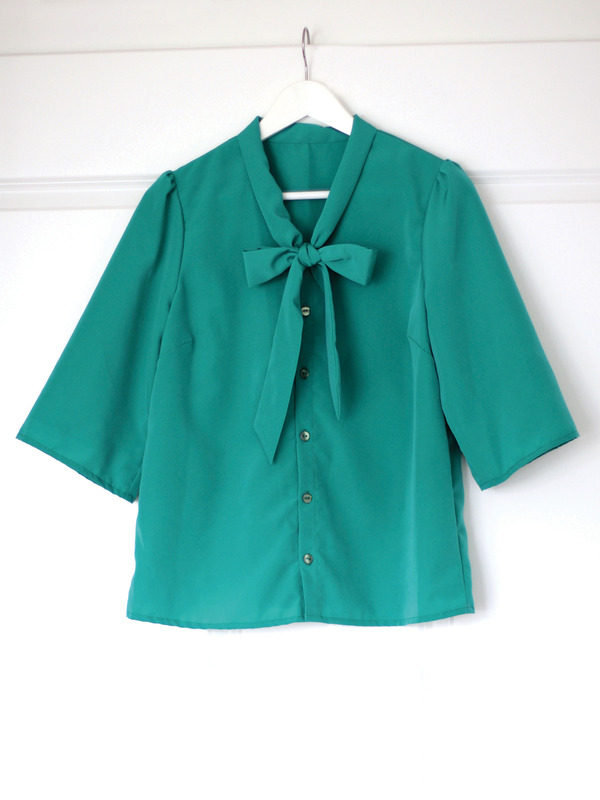 And I’d love to know if you vote that I use a lower or higher neckline if I make the button up with no bow version again? I love hearing from you! !